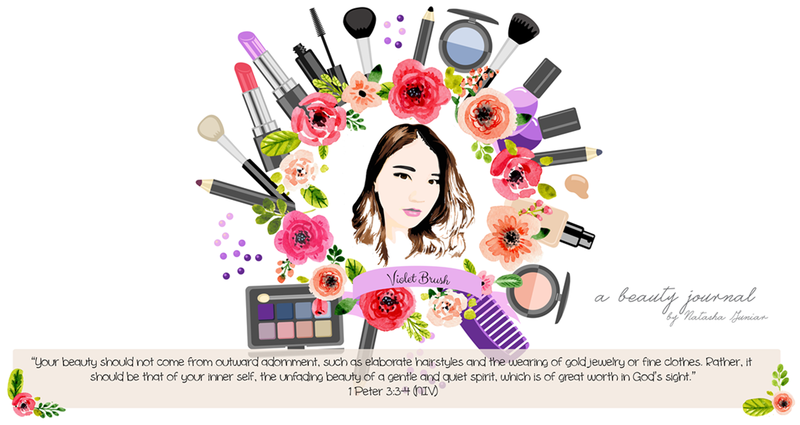 Violet Brush • Indonesian Beauty Blogger: June Birthday Haul: Too Faced, Urban Decay, Beautyblender, etc. June Birthday Haul: Too Faced, Urban Decay, Beautyblender, etc. Hi everyone! It's my first post in July. If you do read my previous haul post here, you must've known that my birthday is on June and moreover, it was my 17th birthday. So practically, this haul post is about the items I got as my birthday present but some, I do buy it myself. I bought this practically because it was on 50% discount LOL but then, I thought it would be fun to get away from the mainstream black and brown eyeliner and try something new and uncommon :b Andddd, I've got one makeup tutorial ready using this eyeliner on my draft so wait up for it ^^ Anyway, the original price of this is IDR 144.500 (about USD 14). My dad got the Beautyblender Candy Cane for SGD 70 and the Blendercleanser for SGD 30. Whoaaa..!! What a great haul! Mind to check my haul?